A DETAILED survey ordered in the wake of the controversial decision to hike car parking charges across the district has been completed. Newry, Mourne and Down Council has confirmed that it has collected all survey data and that a workshop involving councillors and council officials will take place later this month to discuss the information. A report will then be forwarded for discussion to the local authority’s Regulatory and Technical Services Committee in March — 11 months after the controversial charges were introduced without public consultation. Charges at a number of car parks in Downpatrick and Ballynahinch were increased by 200% in April last year, rising to 40 pence per hour and increasing the cost of a weekly parking ticket to almost £20. But there is anger in the business community in both towns that while parking charges in their respective locations have been increased, it remains free to park at local authority-owned car parks in Newcastle, Saintfield and Castlewellan. Several politicians insist the fact that the council is charging people to park in some parts of the district and not in others contravenes equality legislation and is simply unfair. Politicians say car park usage at the Scotch Street and Church Street car parks in Downpatrick has reduced significantly since charges were increased with an obvious knock-on effect on neighbouring businesses. Traders have warned that the increase in parking charges has driven shoppers away from the town while homeowners in a number of residential areas have revealed that increasing numbers of shop and office workers are leaving their vehicles outside their homes. Council officials devised a three-pronged approach as part of a detailed consultation exercise on the charging issue which angered many within the business community. Public roadshows were held in Downpatrick, Newcastle, Ballynahinch, Castlewellan and Saintfield in tandem with an on-line user survey, while it was agreed that data from car parks which experienced a 200 per cent price increase last spring would be collated to determine the full impact the increase had on the number of people using them. 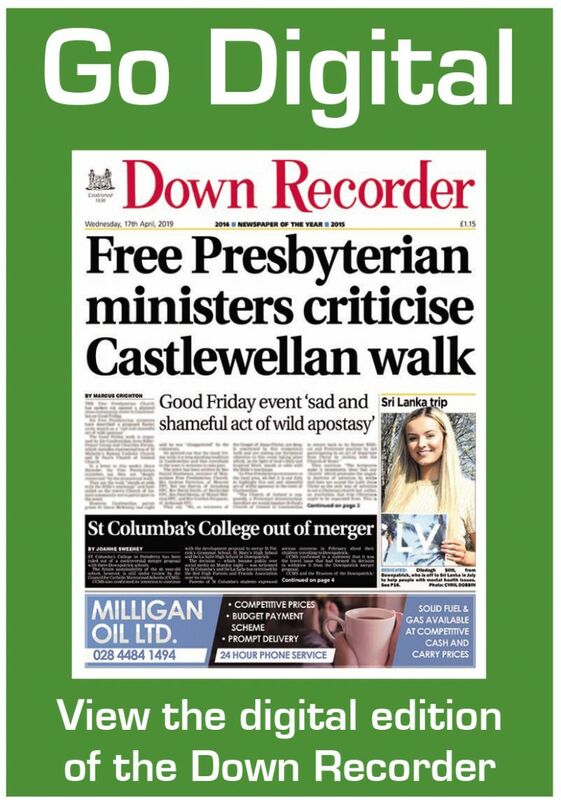 During one of the roadshows in Downpatrick, traders claimed they had experienced a “dramatic reduction” in footfall after the charges were introduced. Business owners want the parking charges reduced to their previous level and an explanation why it is free to park in some other parts of the district. While traders have called for a public meeting to discuss the issue, council officials have not ruled out this option, explaining their initial focus was collating as much information and views as possible. A council spokesman confirmed this week that the organisation had collected all survey data in relation to the review of the off street car parking strategy.